• Wayne State University B.S. 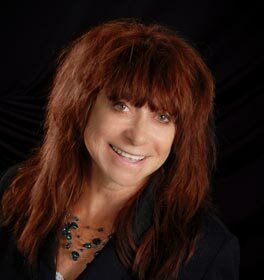 Nicol Merline is president of MTU HYPNOSIS - established in 2000. She enjoys assisting numerous individuals, physicians, support groups, organizations, clubs and corporations by way of hypnosis sessions and seminars - having presented at the University of Michigan Hospital, the Charach Cancer Center at DMC Huron Valley-Sinai Hospital and North Oakland Hospital. Relief from a variety of health concerns through the use of hypnotherapy - have been well documented. This is also why many medical practitioners regularly refer their patients to MTU Hypnosis for help in facilitating health and recovery for a variety of issues. MTU Hypnosis received Healthy Life Center's Hall of Fame award due to the predominance of clients who quit smoking. Nicol has been a featured guest on radio and in a variety of local newspapers. 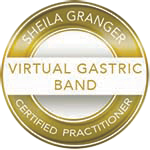 Nicol conducted a yearlong weight loss study - using the leading edge hypnotic technique known as "Virtual Gastric Band" hypnotherapy. Nicol continues to implement this weight loss option with exciting and noteworthy results. Professional and amateur athletes alike also use MTU Hypnosis protocols and hypnotherapy to improve competitive edge and to optimize athletic performance in a wide variety of sports. Hypnotherapy is an effective vehicle for change and change becomes much easier when it involves the subconscious mind. Removing habits, melting fears and phobias remains the general focus of hypnotherapy. This translates into many beneficial changes for the individual - performance, confidence, well-being, and expanded options. "I lost 10 pounds in 20 days. I don't feel like this is a diet, meaning I am not suffering or feeling deprived. Letting go of the weight has been EASY. No hunger pains at all. I am amazed how sweets, which I always ate plenty of, I no longer crave." "I lost 58 pounds and got my life back. I lost 40 pounds in 5 short months. I went from a bulky size 16 to a size 4 and it feels great." "I don't have panic attacks anymore. I am feeling more confident behind the wheel." "I've learned how to calm myself down & not remain anxious at stores, in the car, or being alone. I have even quit taking anxiety meds. Hypnosis was definitely worth it." "I just couldn't get started up until now. What I want to accomplish doesn’t seem like a mountain anymore. Tackling the clutter and getting organized... in only 1 hypnosis session – I began to take charge of my home and work. It has been easy to discard the stuff." "I was so skeptical about whether hypnosis would work and it did... even with all the stress of my job. I lost 53#'s and 21 in."